Five types of dough mixer available: 15kg, 25kg, 50kg, 75kg, 100kg. 1. Micro-computer screen show numbers to control .Automatic program designed, Luxury appearance, easy to operate. 2. Double motion and double speed motor, high speed, reversible move available. 3. 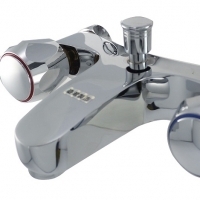 Imported steel and electric component, install protection system function to improve the life of the mixer. 4. High water absorbing, produce strong flour which make it easy to bake, and save your cost. Model Capacity	Dimension (CM) BARREL ROTATING SPEED (high)	BARREL ROTATING SPEED (Low)	Rated Voltage Rated Power YXC-15	15KG 98x50x106 130	24	220/380	2.8KW YXC-25	25KG 110x70x120	125	20	220/380	3.38KW YXC-50	50KG 110x70x120	135	17.5	220/380	5KW YXC-75	75KG 150x90x147	210	15	220/380	12KW YXC-100	100KG 160*110*157	250	13.5	220/380	38KW Wood packing. Foshan Nanhai Maifeng Food Machinery Co., Ltd.
Short on time? 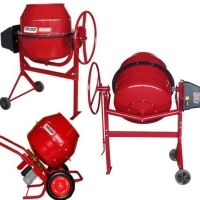 Let dough-mixer sellers contact you. The HW series dough kneader is the main equipments for food processing, the dough kneader can mix water and flour evenly to make dough. And you can also add some other additives such as edible oil, sugar etc. using the dough kneader can save labors and increase the work efficiency . The HW series dough kneader has the characters of high applicability, compact structure, good seal, homogeneous mixing, and little noise, less consumption, less manpower, stable running, easy operation, and high efficiency. So These dough kneader is widely used in all kinds of catering units such as guesthouses, hotels, food processing plants etc. 870*520*830. 1. The HW series dough kneaders are the main equipments for food processing, they can mix water and flour evenly to make dough. (You can also add some other additives such as edible oil, sugar etc.) You can save labors and increase the work efficiency in aid of this kneader. 2. The HW series dough kneaders have the characters of high applicability, compact structure, good seal, homogeneous mixing, and little noise, less consumption, less manpower, stable running, easy operation, and high efficiency. 3. These kneaders are widely used in all kinds of catering units such as guesthouses, hotels, food processing plants etc.